Uzbekistan is a sovereign democratic republic, unitary state. National language: Uzbek; script: Latin. Population of the Republic of Uzbekistan exceeds 27 million people with 37% of those being urban and 63% rural. The major part of population is Uzbeks, with an 80% share of the population. Uzbekistan is a multinational republic with over 100 nationalities and ethnic groups living here. Major part of the population keeps to Islam, Sunnite Moslems. Meantime, Uzbekistan gives roof for many religious organizations supporting different confessions (Christianity, Orthodox Church, Catholic Church, Baptism, Presbyterians, Adventists of the 7th day, Judaism, Krishna Society etc.) In general, the population follows principles of tolerance and mutual respect. The state locates in the central part between large rivers of Amu Darya and Syr Darya. To the north it borders upon Kazakhstan, to the north-east upon Kirghizstan, to the south-east upon Tajikistan, to the south upon Afghanistan, to the west upon Turkmenistan. Uzbekistan has no outlet to the sea (along with Lichtenstein being one of the two countries in the world where one should cross the territory of two states to access the ocean). 12 regions (Andijan, Bukhara, Jizzakh, Kashkadarya, Navoi, Namangan, Samarkand, Syr Darya, Surkhandarya, Tashkent, Ferghana, Horezm) and one autonomous republic (Karakalpakstan). Sum (banknote denominations 100, 200, 500, 1000 sum and coins). There are exchange stalls across the Republic where one can exchange currency to sums at a current rate. Banks work from Monday through Friday since 09:30 till 17:30. Currency can be exchanged at the branches of the National Bank, dedicated exchange stalls and some hotels. Currency exchange with individuals is punishable by law (exchanging currency at unofficial places there is a high risk of fraud). Many hotels and transport agencies accept payment for their services in currency, preferably USD and EUR. Credit cards and travel cheques are restricted and can only be used in the capital and tourism areas. The climate in the country is desert-continental. Temperature difference depending on the season is high. Average temperature in January drops to 6°Сbelow zero, average temperature in July raises to 32°Сabove zero. Precipitation is insignificant. Export and import of currency are unlimited, declaration is required. Import of currency exceeding USD2,000 is allowed only on customs declaration certifying the import of a corresponding amount into the country. Import and export of the national currency is limited to an amount of 272,000 sum (about USD274). Importing and exporting larger amounts in the national currency are allowed only upon permission by the Central Bank (however, most of Post Control Points don’t check cash exported). Individuals aged 16 and over are allowed to import duty-free up to 1,000 cigarettes or 1,000 g of tobacco products; up to 1.5 l of alcohol and up to 2 l of wine; reasonable quantity of perfume for personal use as well as other items for personal use at a total amount not exceeding USD10,000. Import of narcotic drugs and strong medicine (without prescription certifying their reasonable necessity), weapon and ammunition, photographs, printed and video materials against the state order of Uzbekistan or Islam standards, animals (special permission is required), fruits and vegetables. All precious articles (jewelry, photo and video cameras, notebooks etc.) should be specified in the customs declaration. To export precious metals and stones, fur, weapon and ammunition, art and history valuable things (any items manufactured over 100 years ago are automatically ranked as such) a special permission of the national Ministry of Culture is required. 1 January – New Year 14 January – Day of the Motherland Defenders 8 March – International Women Day 21 March – Navruz (Islam New Year) 9 May – Day of Memory and Honors (formerly known as the Day of Victory) 1 June – International Day of Children Protection 1 September – Independence Day 1 October – Teachers and Tutors Day 18 November – Flag Day 8 December – Constitution Day. These days are taken as the national days off. Days of Ramazan Hait (celebration of cleansing after 30-day fast) and Kurban Hait (celebration of sacrifice and mercy to the poor) are also days off. There are also unofficial holidays celebrated at job or study places to exercise respect towards multinational population with some easing of restrictions for the celebrants these days (Easter, Parents Day). City transport (buses, minibuses) is available in all large cities nationwide. Air flights: national airlines Uzbekistan Airways provides international flights to over 30 countries worldwide and domestic flights. Almost every large city in Uzbekistan has its own airport. 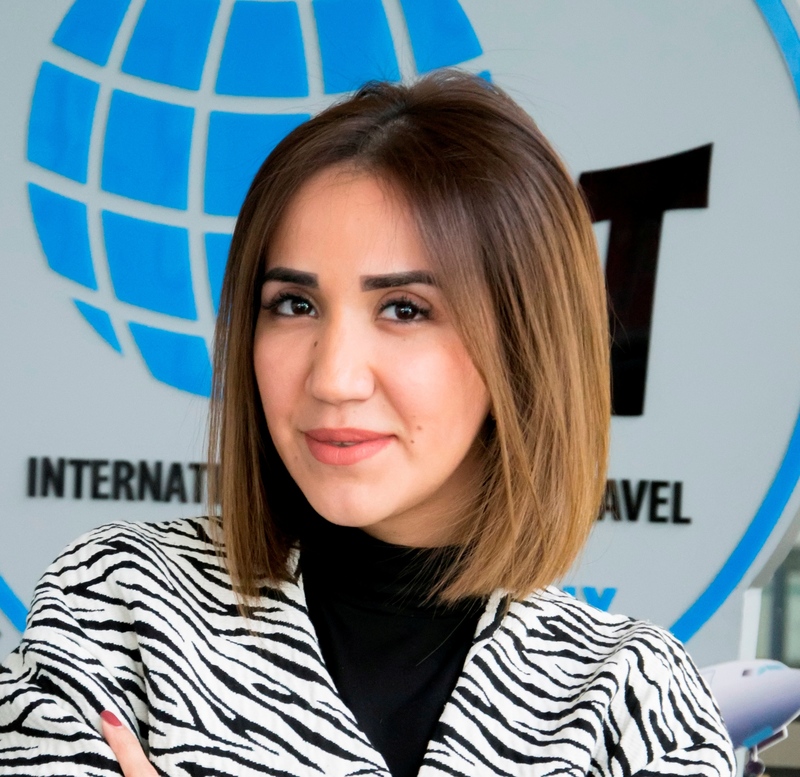 Tashkent international airport is a hub for regular air flights to many countries including Russia, Germany, Turkey, Great Britain, Netherlands, India and USA. Railway lines: there are 3,400 km of railway lines in Uzbekistan connecting Tashkent with Termez, Samarkand, Bukhara, Ferghana Valley and Nukus with four routes: Tashkent – Termez, Tashkent – Bukhara – Muynak, Tashkent – Kokand. Taxi can be found almost anywhere nationwide, usually the fare cost is bargained in advance. Tashkent metro is the only in Central Asia. To date there are 3 functioning route lines in the metro (total of 29 stations). Metro works from 6:00 till 24:00 every day. In most sales outlets across the nation prices are strictly fixed but at bazaars and private shops it is a common thing if a shopper is bargaining: an experienced customer may easily reduce the price sharply especially on handicraft wares and carpets. Bazaars are the best place to learn an everyday life. Here you can buy almost everything from luxurious carpets and silk to fruits and spices, from traditional homemade goods to clothes and shoes. Many museums have their own little shops offering various handicraft items. You should remember that purchase and export of goods made over 100 years ago are illegal. Groceries are working from 08;00 to 17:00, others are open from 09:00 to 19:00, you are recommended to go shopping at markets early in the morning, the earlier the better. Uzbekistan is abundant in architectural landmarks and occupies the leading positions in Central Asia in terms of quantity. 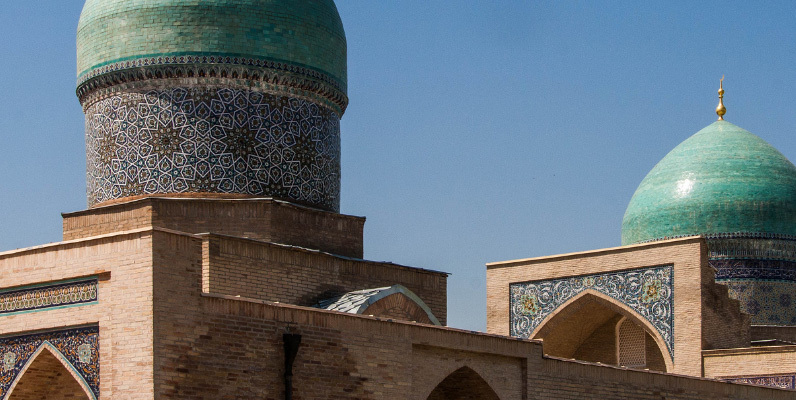 Tashkent is famous for its mosques, mausoleums (Yunus-Khan Mausoleum is a best one) and minarets; there are still working madrasahs such as Kukeldash (15th century, restored recently), Barak-Khan madrasah and Abdul-Kasym-Eshon madrasah (16th century), picturesque mosques Jami (16th century), Mirza-Yusuf (19th century) and Hayrabat-Eshon (18-19thcenturies). There are also orthodox temples, a nunnery, churches including Polish Roman Catholic Church; toleration of local rulers has always been known far outside the nation. You can visit historical museums such as Art Museum of Uzbekistan that has over 4,000 expositions (including artifacts of Sogd period, Budda statues aged over 1,000 years and items of Zoroastrian worship), History Museum of Uzbekistan. The most beautiful museum of the city is the Museum of Timurid History (Amir Temur Museum) placed in the center, visit to this museum is a must to see the riches of its expositions. 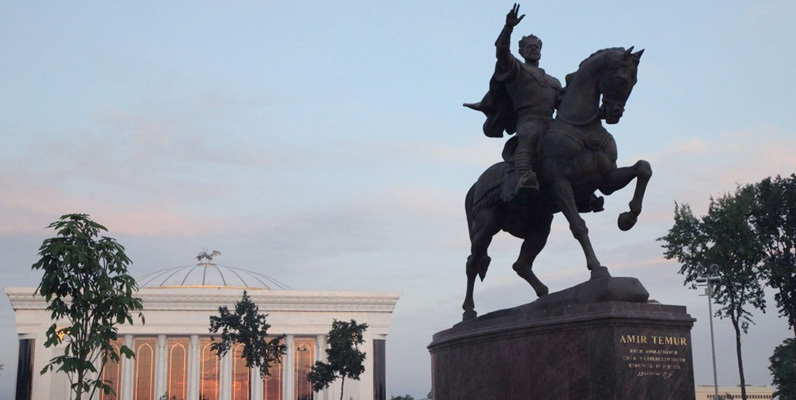 Another place of interest is the old quarters of Tashkent known as Eski Shahar. Despite strongest earth quakes constantly occurring in this seismically active district many old buildings and streets have been continuously preserving their appearance. One of the largest markets Chorsu on the background of Kukeldash madrasah is not just a large and rich shopping center of the city, it is an iteration of all legends about the Ancient East. The so called Tashkent chimes represent one of the most beautiful buildings located in the center of prince Rahmanov’s residence (1860-90) and consists of the tower with clock imitating Spassky Tower of Moscow Kremlin, a landmark of those years when Uzbekistan was a part of Russian Empire. Today the capital of Uzbekistan is the largest cultural center not only of the nation but of the whole Central Asia. Conservatory, 9 theaters (including world famous theater of Opera and Ballet Navoi), concert and exhibition halls, stadiums, swimming pools, libraries, parks, blooming gardens and fountains (a rare thing in these droughty zone featuring perfect architectural and engineering design) cannot be indifferently disregarded. The television tower of Tashkent is the highest structure in Central Asia (375 meters high). Samarkand is known for its grand architecture ensembles including El Registan, Shahi-Zinda, Gur-Emir and Bibi-Hanym mausoleums; the city is surrounded with a giant ring of 13 stupendous parks and gardens. Samarkand staggers with the decoration of its landmark buildings, it is here the art of glazed facing achieved its acme, not a single pinch of the buildings’ surface is left free of decoration. And no architecture in the world could ever and will ever boast such an abundance of multicolor ornament painting, gilding, and glazed facing. The striking example of this is Tilla-Kari madrasah (17th century), its name meaning “gilt” given for the cupola hall interior finished with kundal painting. Even the celebrated masters of Timur could not boast such solid gilding across vast surfaces. The main landmark of the city is Registan (El Registan, 16-17th centuries), the world’s most beautiful plaza, surrounded by an array of magnificent ancient buildings, minarets and mausoleums, which makes it look like a vast history exhibition hall. Meeting sunrise on this plaza is very impressive as the deep shades create fancy combinations of forms and emphasize the most inconspicuous at first glance peculiarities of the filigree carving ornament decorating the walls and portals of the surrounding buildings. In the south part of Afrosiab settlement site a unique necropolis Shahi-Zinda stretched its walls, a cemetery street walled by mosques and mausoleums of 11-15th centuries rising on its both sides. Giant ruins of Bibi-Hanym mosque are lying close to the center, the building was erected by the order of Timur as the biggest in the East. 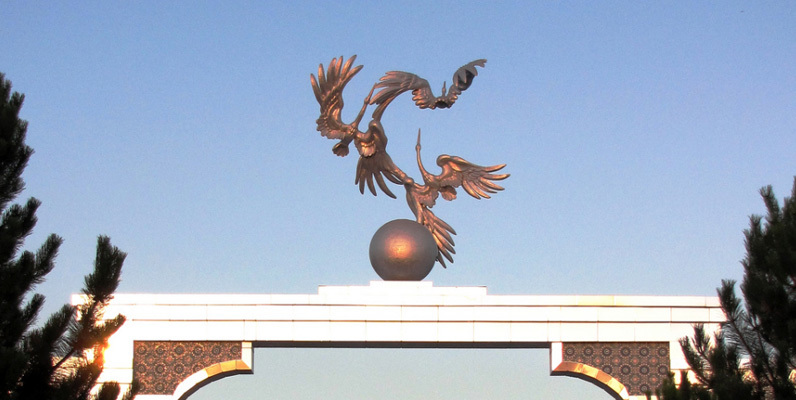 Its cupola was likened to the arch of heaven, while the portal arch resembled Milky Way. Near this area there is a mausoleum of Timur and his descendants titled Gur-Emir striking with its perfect proportions and symmetry resembling a huge blue tulip. Panels of its inner walls are made of yellow-green marble and painted with blue dye and gilded to create in the space under the cupola an effect of shimmer and lightness of the whole burial vault interior. Bukhara is a city of more than 140 architectural landmarks of Moslem epoch (Kalyan minaret 11th century), Kukeldash and Ulugbek madrasahs (11-16th centuries), Lyabi-Haus (16-17thcenturies), Ismail Samani mausoleum (9-10th centuries), wonderful quarters and narrow streets of the old city. The pearl of the city is a small mausoleum of Sassanid dynasty that recently celebrated its thousandth anniversary. At a distance sight this incredibly proportionate burial vault looks like a golden box crowned with a short cupola. At a close sight it extremely strikes all tourists as the whole mausoleum is built of burnt bricks all over and the art of this brickwork and intricate carving (on the brick) creates an amazing play of light and shade filling the aspect of the mausoleum with lightness and perfect elegance. Similar technique features the architecture symbol of Bukhara – Grand Minaret Kalyan built in 1127 considered as the highest in Asia. From the circular gallery at the light of the minaret a breath-taking view of ancient Bukhara opens up: a pre-eminent Poi-Kalyan plaza (formed by the Grand Minaret, Kalyan mosque and Miri-Arab madrasah, built in 1536), Chashma-Agrob (1380), Arch Fortress (18-20th centuries), unique mosque Magoki-Attari, Buyan-Kuli-Khan mausoleum with a splendid terracotta wall decoration, fascinating accumulation of Toki-Zargaron market cupolas and a multitude of other delightsome architectural landmarks. Lyabi-Haus is a center of another sumptuous landmark of Bukhara. Haus means pond, no need to tell about the role of ponds in the life of that city lying on the edge of sultry desserts. Likewise, Lyabi-Haus, a rectangular basin with cut angles framed by the three monumental madrasahs of 16-17th centuries was once a heart of the city’s public life. Khiva is famous for its over one hundred monuments of different epochs and ethnic groups: ancient city wall, Kuna-Ark citadel, Ichkhon-Kala, a walled inner town, Tash-Hauli palace, Dishan-Kala rabad, minarets and madrasahs of Islam-Hoja, Mukhammed Amin-Khan and Kalta-Minor, Juma mosque with 218 columns, Mahmud Pahlavi mausoleum and many other unique constructions. Morning and evening is the best time to visit Khiva. Shahrisabz is a small town just 90 km to the south of Samarkand, a former residence of Timurids, called Kesh in middle ages. It is a home town of Timur the Great, once casting shade on Samarkand. Several unique historical landmarks of high value remain to date: Palace of Timur Ak-Saray in addition to its giant 40-meters high gates is famous for its filigree blue, white and golden mosaics, and that is just a small part of the palace that survived, we can only imagine that magnificence featuring probably the rest of this summer residence. Another captivating landmark is Dorussadat (Place of Power) which possibly overshadowed the Palace itself. Kokand is renowned for the Museum House of H.N. Khamza, Medresei-Mir madrasah (18thcentury), architectural ensemble Dahmai-Shohon (1825) and majestic Hudoyar-Khan Palace (1871). Termez is a city on the very border with Afghanistan, on Amu Darya river, erected in 19th century on the place of Pattaisagar village and Russian frontier guard. Interesting spots include remains of the fortified walls, Buddhist worship cave complex Kara-Tepe, remnants of the feudal city of 9-12th centuries, Hakim-al-Termezi mazar (11-15th centuries), Sultan-Saadat mausoleum ensemble (11-17th centuries) and Moslem constructions of different epochs. In the mountains surrounding the city there is a plenty of ancient mines, adits and cave towns, many of them not fully studied yet. Uzbekistan has been actively developing such sectors as mechanical engineering, including automotive industry, fuel and energy sector, where the main role is played by oil and gas production as well as oil and gas processing. Apart from mechanical engineering, a textile industry is a key sector driven by raw cotton processing, fabric and clothing production. At present the textile export is growing increasingly. An important factor of development is investment and state support provided to the critical sectors including oil and gas production, processing, mechanical engineering, automotive industry, textile. Foreign investments were also attracted with their share growing in the key industries. There are two large car makers in the country: CJSC GM Uzbekistan (former JSC UzDaewooAuto, Asaka, Andijan region) making motor cars exported to Russia, CIS and LLC SamAuto making buses and trucks (Trend). LLC SamAuto was created in 2006 on the base of Uzbek-Turkish JV SamKochAuto. In May 2007 Japan’s Itochu purchased 8% share of SamAuto with other shareholders including JSC Uzavtoprom with 66% share and Uzbek Bank Asaka with 26% share. The auto maker manufactures trucks with weight-carrying ability 4 to 18 tons and passenger urban buses with capacity of 37 passengers. 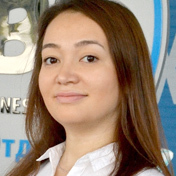 The structure rearrangement of Uzbekistan economy has achieved outstanding results over past years. For instance, industrial production share in the GDP increased from 14% in 2000 to 24% in 2009, transport and communications share increased from 7.7% to 12%. Over the same period share of agriculture reduced from 30% to 18%. That is a sign Uzbekistan economy is getting more industrial with its structure catching up with that of developed nations. It should be noted that at separate stages of the transient period the nation used different tools of economic regulation in accordance with the goals set. Thus, at the first stage (1991-1995) there was a task of macroeconomic stabilization with the use of primarily monetary policy while the industry was aimed at accelerating key sectors, mainly oil and gas. The main goal at the second stage (1996-2003) was resurgence of the national economy at the expense of increased import substitution. The task of the third period (2004-2009) was to provide stable and high pace of economic growth mainly at the expense of export-oriented industry policy as well as public income increase and employment growth. At present time in the wake of Uzbekistan’s proprietary model of consistent and staged reforms, opportune and well-thought complex of anti-crisis solutions, Uzbekistan sees stable and strong economic growth. Despite long tailed recession in the world economy over the past time Uzbekistan continues implementing large-scale structural reorganization and strengthening market mechanisms as the industry is growing and export is increasing mainly at the expense of increased production with high added value and expanded diversification and supply geography; a dynamic growth is seen in the foreign investment sector too. Successful implementation of the Anti-crisis program countrywide started as early as 2008 reduced negative effects of the global crisis and allowed Uzbekistan among few states to provide stable economy growth and real public income increase. Thus, for instance, in 2009 GDP growth made up 8.1%. It should be separately noted that Uzbekistan became one of few world nations with economic growth recorded in 2009. Uzbekistan’s model of development aimed at implementing large scale structural reorganization and building socially-oriented market economy attracts high interest around the world. For many states experience of Uzbekistan in implementing Anti-crisis measures, strengthening complex reforms on further modernization and renovation of the country is a pattern of stable development not only in a short outlook but in a long term prospective as well. Main power source of the Republic is natural gas production of which is mainly concentrated in such regions as Gazli and Karshi. Oil is produced primarily in Ferghana valley and Bukhara region. In early 1992 in the western part of Ferghana valley a new oil filed was discovered, as initially estimated one of the largest in the world. Coal is mined under Tashkent, in Denau and Ferghana valley. Industrial development of nonferrous metals is also conducted including zinc, copper, lead, tungsten and nonmetal mineral resources such as feldspar, quartz, limestone, turquoise. Gold is mined in the basin of Zerafshan river and Kizilkums. Some reports were made about uranium mined in Ferghana valley. Oil and gas sector remains state owned but mineral resource industry is increasingly attracting western companies. It mainly takes place at gold mining requiring the use of modern technologies. Mechanical engineering in Uzbekistan arose mainly in the post-war period. During the Great Patriotic War over 100 industrial enterprises were evacuated here from the European part of USSR. However, despite the evacuation impacted the Republic economy diversification, major part of Uzbekistan’s industrial potential remains related to agriculture and cotton processing. Other key economy sectors include metal manufacture, chemical industry, food industry and building materials manufacture. Foreign investments and technical support in the automotive industry (Andijan), electronics (Samarkand), clothes making (Tashkent) make us hopeful of further industrial development in Uzbekistan. The most important agricultural commodities in Uzbekistan apart cotton is fruits, vegetables and corn (wheat, rice and maize). The featured commodities are Uzbek melons and watermelons famous for their taste. In the Soviet period many large scale hydroengineering projects were implemented (such as Chirchik-Bozsuv cascade, farkhad and Charvak hydropower plants, Grand Ferghana and Golodnaya Steppe channels) and prior systems of irrigation channels were expanded. Most of Uzbek families, especially in the country, cultivate land and plant fruits and vegetables. Uzbekistan economy was one of the specialized economies in the Soviet Union based exclusively on cotton production. According to the statistics of 1980s cotton growing and processing accounted for 65% of the Republic’s gross production; this sector deployed over 40% of workforce. Annual raw cotton harvesting in 1980s made up on average about 4.5 million tons. Area allotted for cotton reached in 1986 nearly 3.5 million hectares. Cotton growing was serviced by a dedicated infrastructure consisting of the irrigation system, chemical fertilizers production and mechanical engineering (agricultural engineering and machines for initial cotton processing). As the independence was proclaimed the Uzbek government decided to cut cotton production and increase food crops to be self-sufficient with foodstuff. Raw cotton harvesting plans were reduced to 4 million tons. In late 1990s rain showers in some regions and economy slowdown resulted in a sharp decrease of cotton harvesting. When cultivating cotton in Uzbekistan manual labor is a dominant with urban communities attracted to field works. Major part of the works both in the field and at cotton ginning factories is made by women. 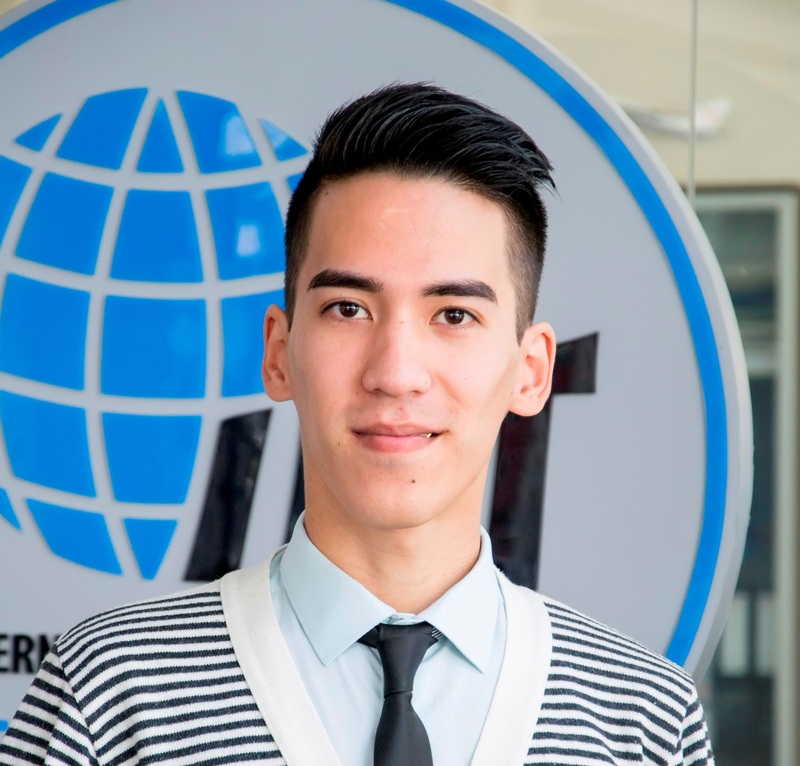 how to get visa to Uzbekistan?